Whew! It’s been a few weeks since I posted a new Use It Tuesday challenge. Remember, we always play over on the main Use It Tuesday blog (2nd and 4th Tuesday of the month). I try to get my post done here, but some weeks are more challenging than others and it just doesn’t happen. This week, we’re asking you to pull out not one, but TWO hoarded items from your crafty stash and make us a beautiful project with them. That’s right, friends…it’s Use Two Hoarded Items week at Use It Tuesday. This one is really out of the box for me. 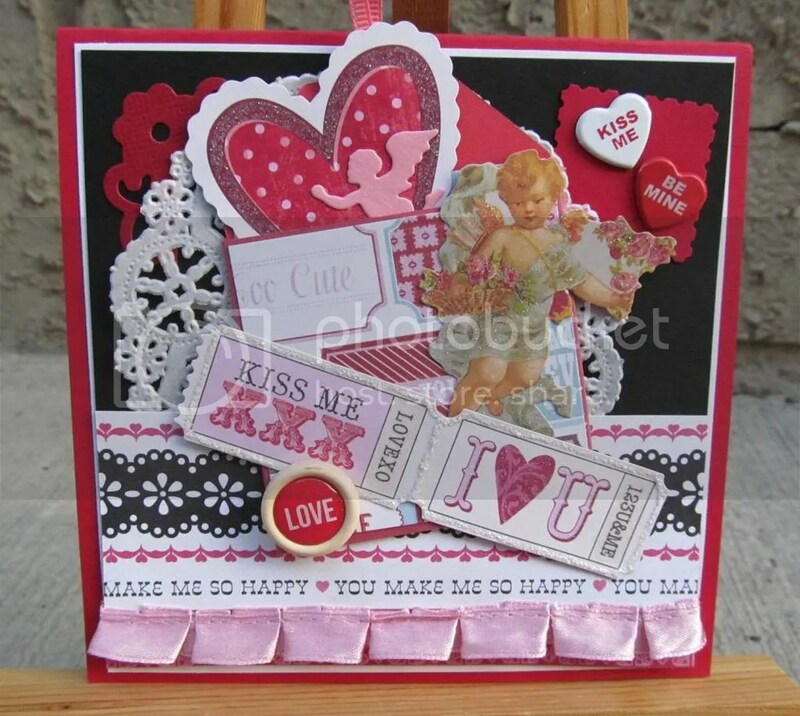 I found a card kit in my stash that’s been around for..I think a year…maybe longer and it had a very vintage feel with lots of odds and ends. Totally not my usual style, but I decided to see what I could do. Because I needed two times, I also pulled this beautiful ribbon out of my craft room and used it on the card. That ribbon has been hanging in a special spot for almost three years. I keep forgetting it’s there. Now show me your stash! Projects can be linked up to the Use It Tuesday website before noon (PST) on Friday October 4, 2013. No blog? No problem! Just use the keyword USE064 when uploading your project to an online gallery and leave us a direct link so that we can find your creation.